It's like six peas in a project pod. Managing multiple projects simultaneously can be a challenge, where it can be easy to let one slip on the wayside as others take more immediate priority. Meanwhile, tricky problems are often the most difficult to start working on, resulting in putting off the work that requires the most time until the last minute. 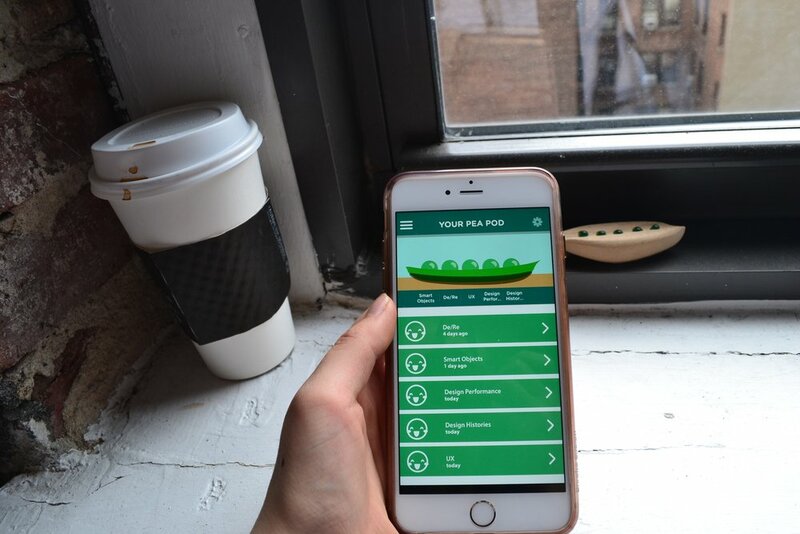 Pea Pod is an app that tracks up to five projects at once. Pea Pod tracks the last time a project was worked on, deadlines, and how the user feels about the project status. Pea Pod encourages users to work on projects on a regular basis through an auto-countdown function - if a project is not worked on within the countdown period, the pea representing the project becomes "sicker" and unhappy. Pea Pod also incorporates the Pomodoro Method to increase productivity - a 25 minute timer to work on projects where it is daunting or challenging to find the motivation to start. Pea Pod uses expressive peas to combat procrastination. When a project has been neglected for too long, the pea becomes sadder and less vibrant. Alternatively, when a project is shown some love, the pea gets a mood boost and becomes brighter. Up to five projects can be managed at once in the app, where the status of each is through color coded and displayed on the home screen. 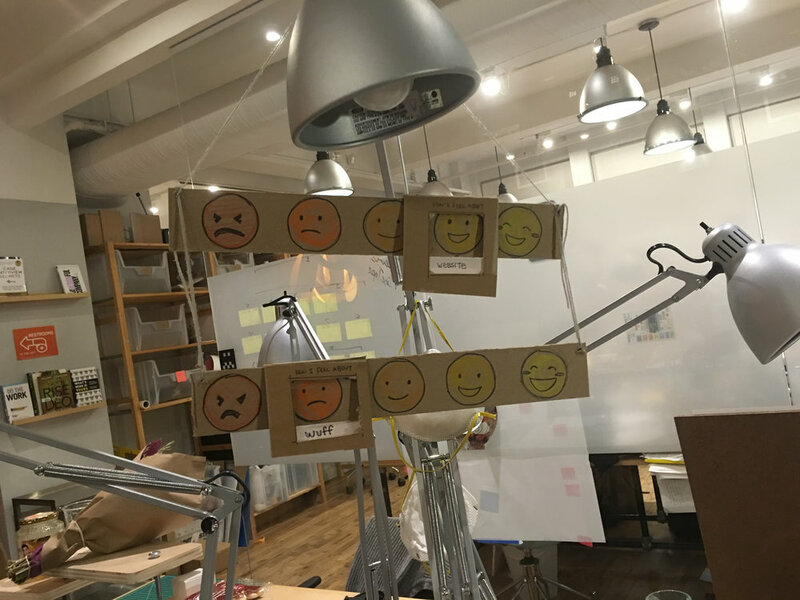 The project was inspired by pain scales, which are often used in hospital settings to indicate the amount of pain a patient is, and were a tool I worked with while conducting research in physical ergonomics. The pain scale uses emoji-type faces, which were further combined with Toy Story 3's Peas in a Pod character for a unique aesthetic. Rather than waiting to work on a project at the last minute, Pea Pod encourages a daily approach to tackling big projects. Each project has an auto-countdown feature set to a default of 24 hours, but can be modified by the user. If the project is not worked on within the time limit, the pea gets a little bit sadder. As an aid, pea pod also incorporates the Pomodoro Techinque - a time management tool where a timer is set to 25 minutes to work on projects in manageable intervals.